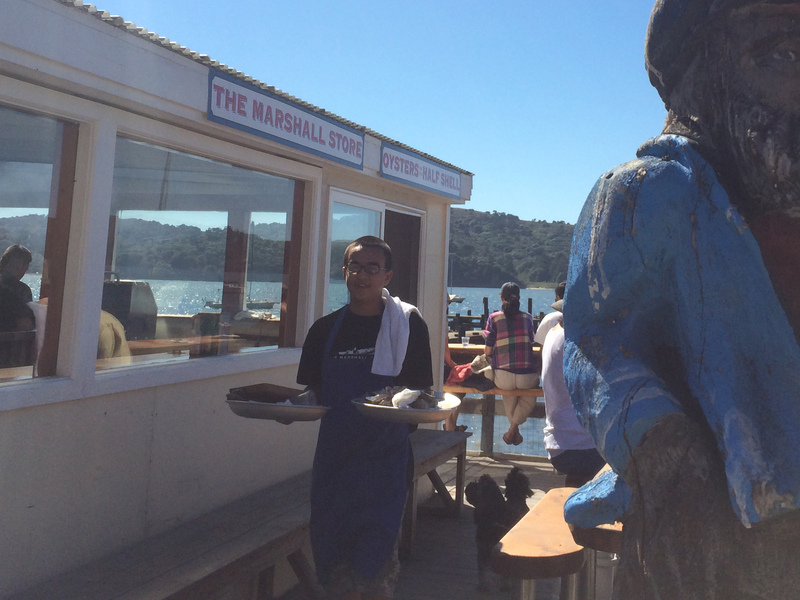 Tomales Bay near Point Reyes on California’s Pacific Coast highway (Hwy 1) is known for its oyster farms and The Marshall Store (TMS) sells fresh shucked oysters, chowder, and some BBQ items out of a building by the seashore. You order food at the counter and then sit outside on long hardwood tables set out along the shore with Highway 1 directly behind you. 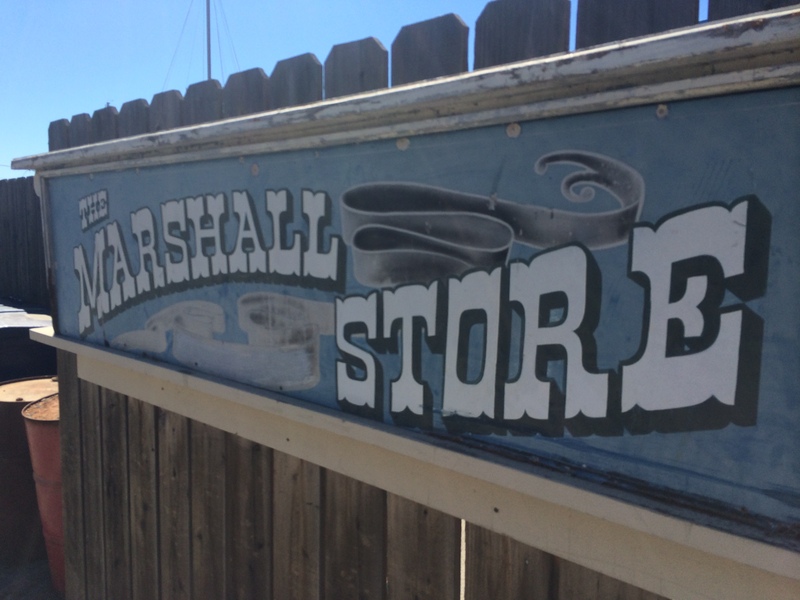 We had decided to take a Thursday/Friday off for a local road trip/staycation in the Bay Area, and Marshall Store was our first stop. 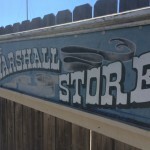 Marshall, CA is fairly remote, at least by most city dwellers’ standards, requiring an hour+ long drive from San Francisco on some winding roads to reach. If you have the time, I would suggest taking the more scenic route along CA 1 from the Marin headlands at the foot of the Golden Gate up north past Muir Woods and Point Reyes. This route can get busy during peak travel times, so if you are in more of a hurry take US 101 and cut over on some of the smaller roads passing through the hills (Google Maps can direct you). But once there, you will be rewarded with a nice dining experience, especially on warmer days. Because of TMS’s remote location along the coast there is no cell service at all. 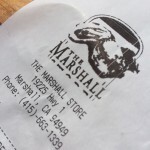 In addition to not being able to immediately Facebook, Instagram, Snapchat your Marshall Store experience, you will not be able to connect to Google Maps to figure your exit route. I would suggest printing out directions, memorizing your exit route, retracing your steps, or using your “old school” navigation system. And it goes without saying that you will be cut off from the outside world a bit, so if you are expecting calls or texts, be forewarned, you will not get them. Restroom facilities are of the portable variety, and If you have a natural aversion to these, I suggest limiting liquid intake before the trip. Parking is along Hwy 1 on both sides of the store with capacity for about 2 dozen cars. Since it was a Thursday, parking was not an issue, but during busy times, you might have to park farther away along Hwy 1. Oysters are the signature dish, so that was a must. In addition to raw oysters, TMS offers cooked varieties, namely BBQ, with Chorizo butter, Rockefeller, with bacon and Worchester sauce. 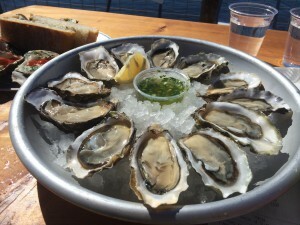 Regular prices are fairly pricey at $15/6 raw oysters and up to $18/6 oysters for the cooked varieties, but we happen to visit on a Thursday, which is $1/raw oyster day. They do not advertise this, but we talked to a couple of regulars who come fairly often and they had been running the Thursday deal for a while. 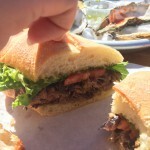 They also have some sandwiches, clam chowder, fish, and crab dishes. Bottled drinks can be found in large glass door fridges, and include beer, wine, sodas, and juices. You order at the counter, pay for your drinks, leave your name for the order, and take a seat. While there are seats inside, unless it is raining or totally fogged in, you should sit outside at the long hardwood tables. A server brings out the trays from the shucking/grill room shouting out your name at which point you flag them down to claim your order. 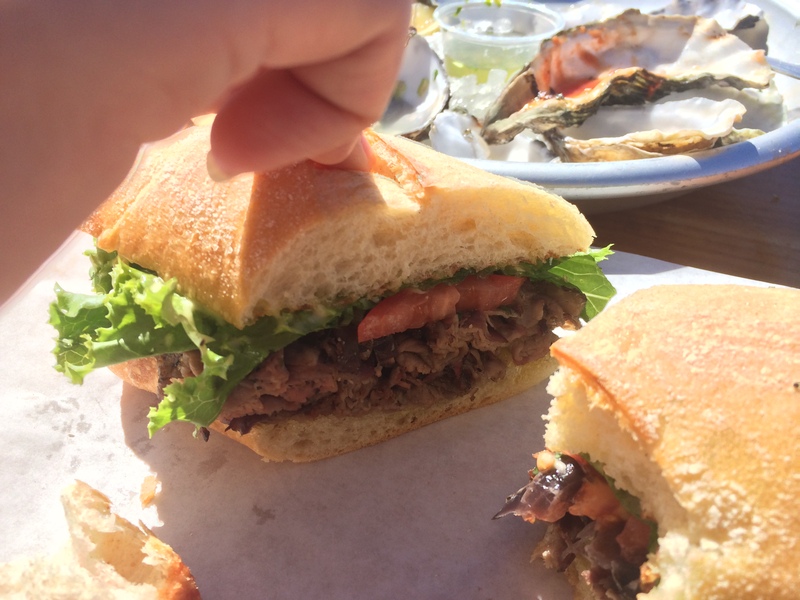 We decided on ordering a dozen raw oysters, 1 order of BBQ-ed oysters, the house smoked tri-tip sandwich, and clam chowder. Quality ingredients stand on their own, and the oysters delivered. 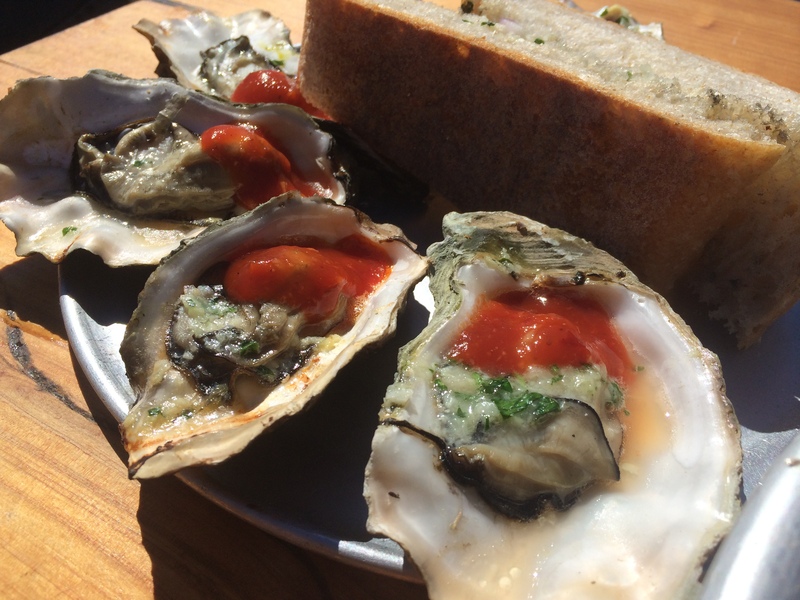 Freshly plucked from Tomales Bay and shucked, they were satisfyingly briny and tender with the right amount of oyster liquor remaining in the shell to finish. For those that prefer, the oysters came with lemon wedges and migonette sauce, which had cilantro in it. Tabasco can be found on the table as well. We actually ordered a second dozen,taking full advantage of the $1/oyster special. 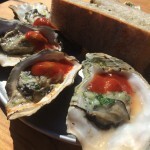 The BBQ oysters are grilled to order, topped with housemade BBQ and accompanied by a couple pieces of herb seasoned bread. For those weary of raw oysters, this is a good option. Worth trying, but I have had better cooked oysters else where. Let’s face it, going on oysters alone, we would be hungry in a couple of hours. So every oyster bar has some “filler” items to accompany their bivalves, and TMS is no exception. 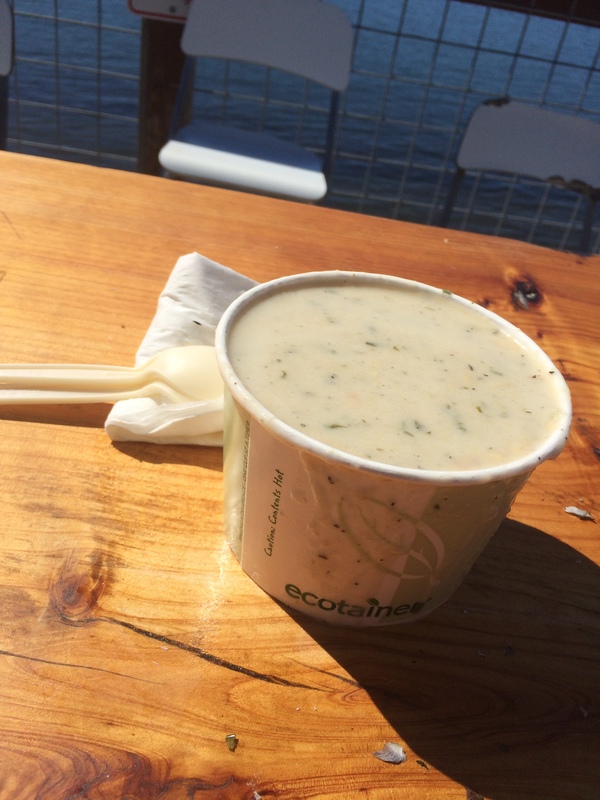 The chowder comes in 2 sizes, cup and bowl, at $6 and $8 and you serve yourself at the end of the counter. 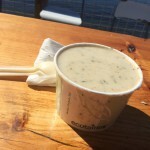 TMS’s chowder is not the paste like, cream dominated chowder found in most places, but thinner like a hearty stew, filled with potatoes and clams. 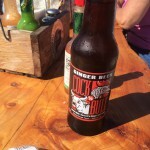 Flavor was good and pairs well with oysters. The tri-tip sandwich with house smoked beef was a decent size and had a nice balance of meat to bread to toppings and ranking in the middle of the pack in terms of my sandwich rankings. Sure beats packaged lunch meat slapped between two pieces of bread. The decision to go to TMS is a fairly extreme case of having to choose between a relatively high overall cost in both time and dollars spent at the restaurant verses the quality of the food and dining experience. While it is tough to beat the freshness of Tomales Bay oysters plucked directly from the water and the pretty decent “filler” items that TMS serves, the fact remains that food transportation is pretty efficient these days, and you can get Tomales Bay oysters the day after (and sometimes day of) harvest around the SF Bay area fairly easily (e.g. 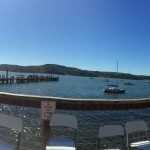 Hogg island Oyster Farm’s restaurant locations). 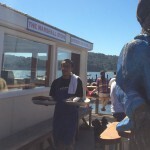 TMS’s regular prices for oysters are comparable to other restaurants offering super fresh shucked oysters. This makes the drive out there a significant component in the overall cost equation when considering both time and gas. 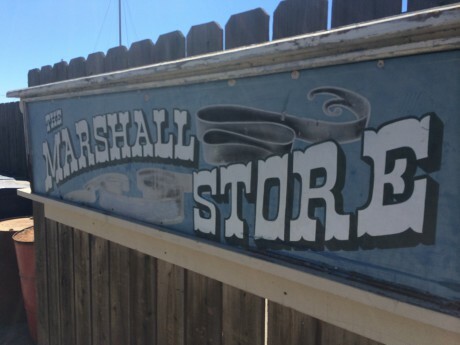 Visiting The Marshall Store would be a great stop if you happen to be going to Point Reyes or up north on CA 1 as part of a road trip like we did, and the $1 oysters were definitely a bonus in the cost calculation. However, how often will the typical person have a free Thursday to drive out to the coast before the 4pm closing time? We happen to just luck out when we went, else we would probably have fewer oysters and more fillers. If you are the sort that prefers to pay a small premium to have things shipped to you, then I would pass on TMS. 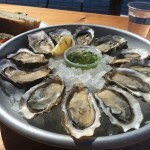 Easy, No Brainer Call, IF you are geared up for a road trip, like outdoor coastal dining, and are a fan of oysters. Otherwise, if you prefer to let others do the driving or are not a raw oyster aficionado, folding is the wise course of action.